A Clean Business Is Good Business! Don't let first impressions of your business property be anything less than positive. Keeping exterior surfaces on and around your place of business looking clean and inviting plays a key role towards projecting a proud and professional business image that customers will notice and appreciate, and employees will take pride in. 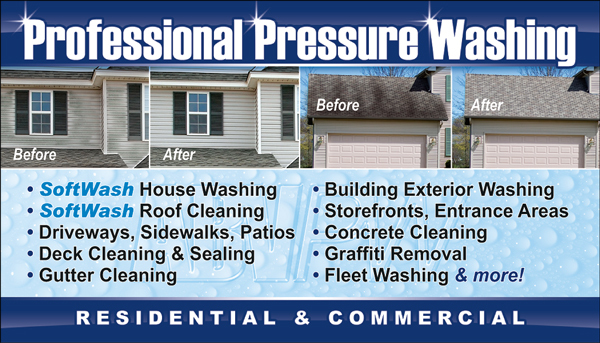 Our professional Pressure Washing services for Commercial properties are custom-tailored to fit your company's specific cleaning needs and budget using modern equipment and methods that will make your property shine! Dumpster Pad Cleaning & more! 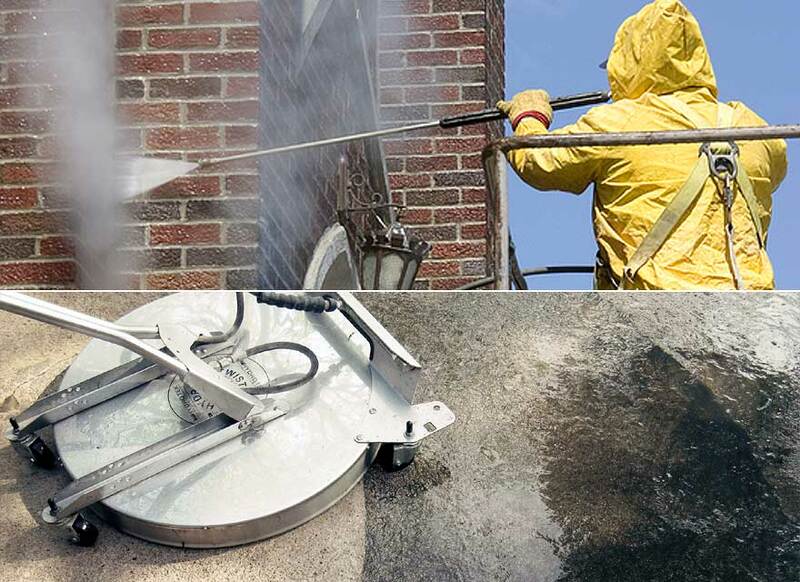 Our services are ideal for a wide range of properties, from shopping centers and commercial buildings, to restaurants, banks, churches, and many more. Many business owners know it's easier to keep their business looking its best by having it professionally cleaned periodically throughout the year. 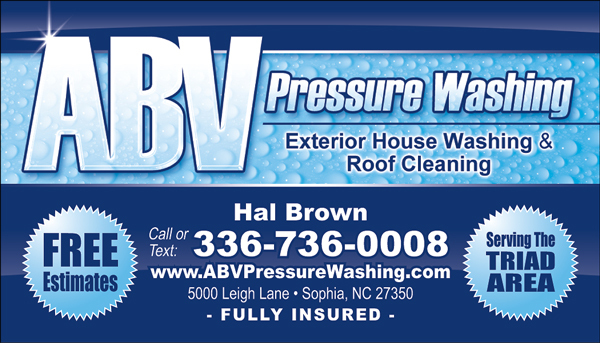 That's why ABV Pressure Washing offers REGULAR MAINTENANCE PROGRAMS on a weekly, bi-weekly, monthly, bi-monthly, quarterly, or semi-annual basis. When you're enrolled in one of these quick, convenient, and budget-friendly cleaning programs, you won't have to worry about a thing - we simply arrive at the pre-scheduled date and time to get the job done. It doesn't get any more easy or hassle-free than that!